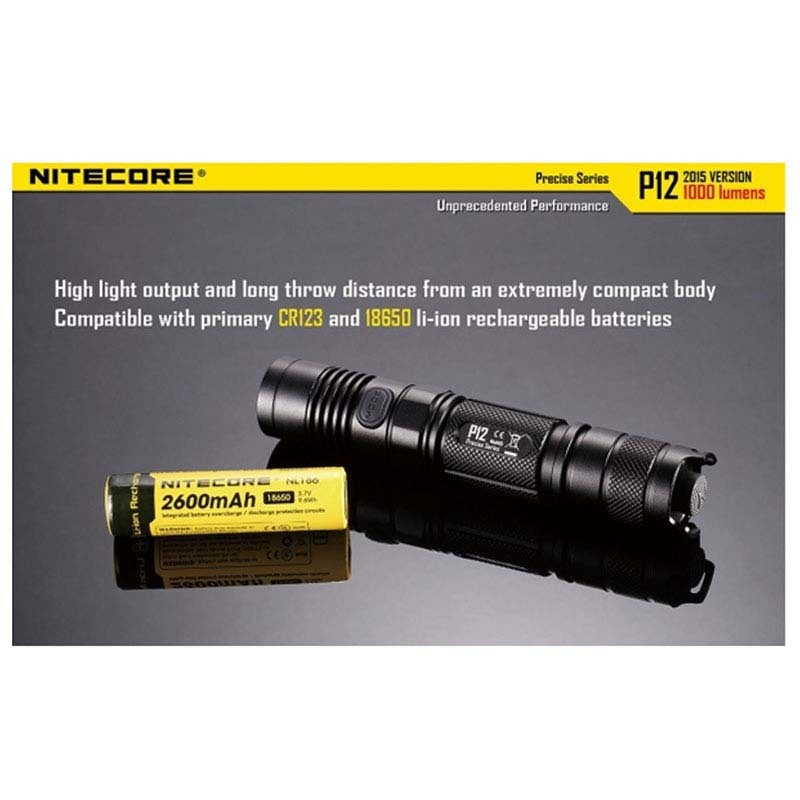 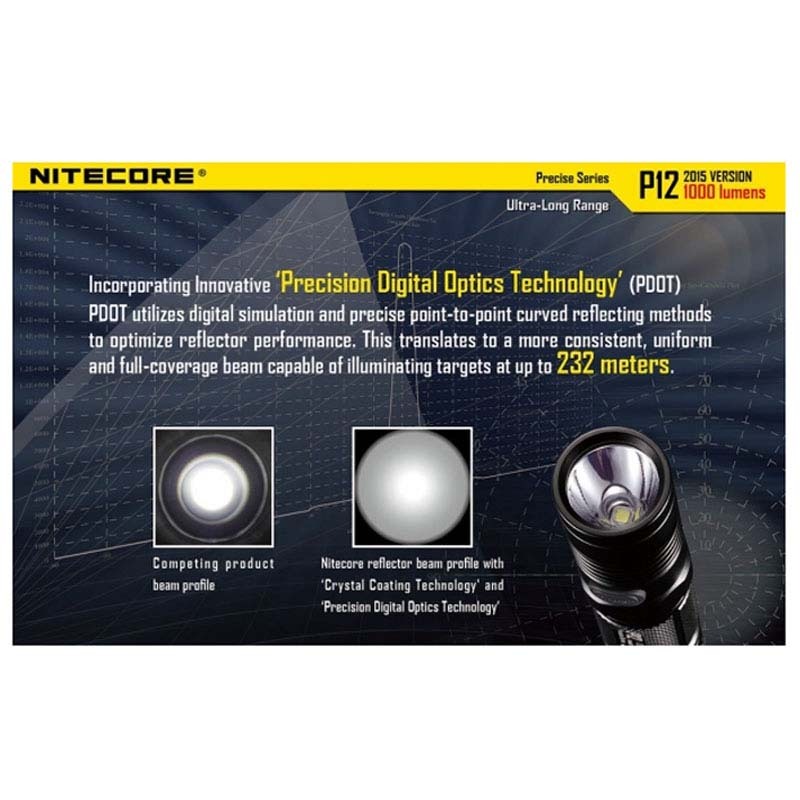 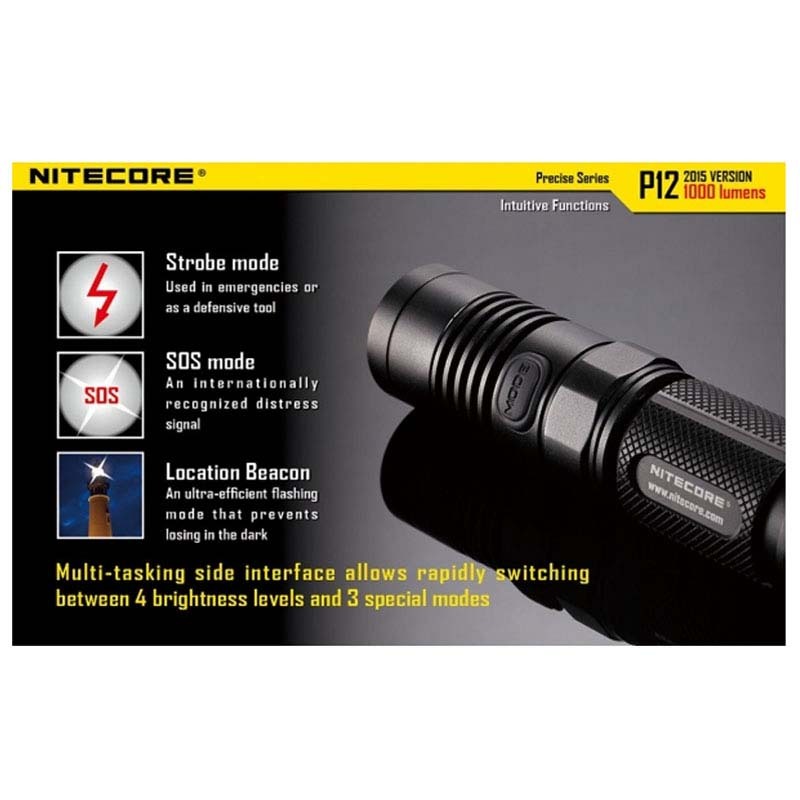 The Nitecore P12 redefines what is possible from a compact every day carry flashlight that is small enough to fit into a pocket. 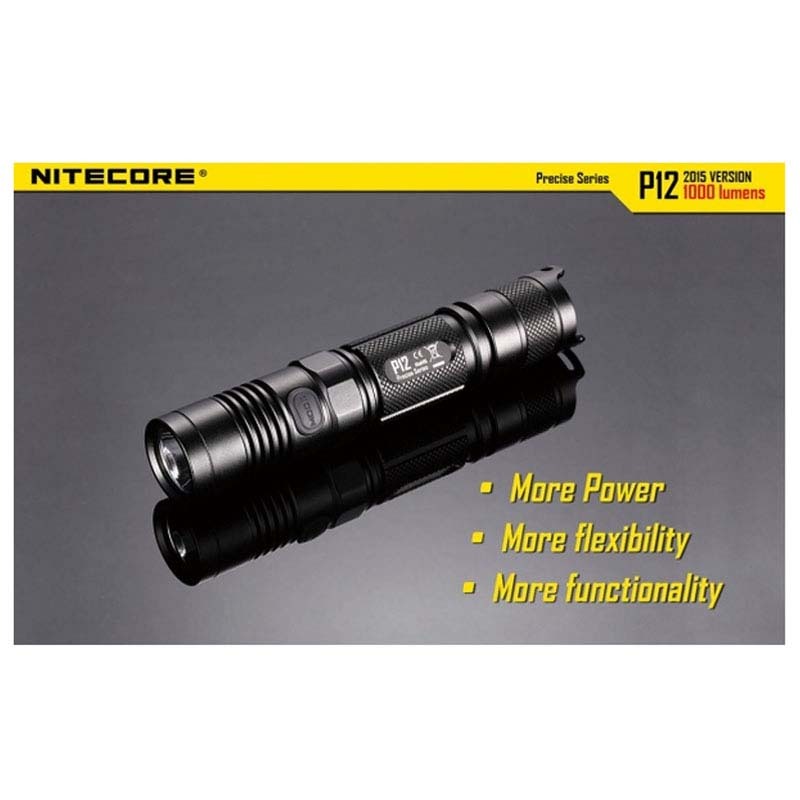 With a maximum output of 1000 lumens from the Cree XM-L2 U2 LED and a range of up to 232 meters, the P12 outperforms every other light in its class with ease while adding many unique and innovative features. 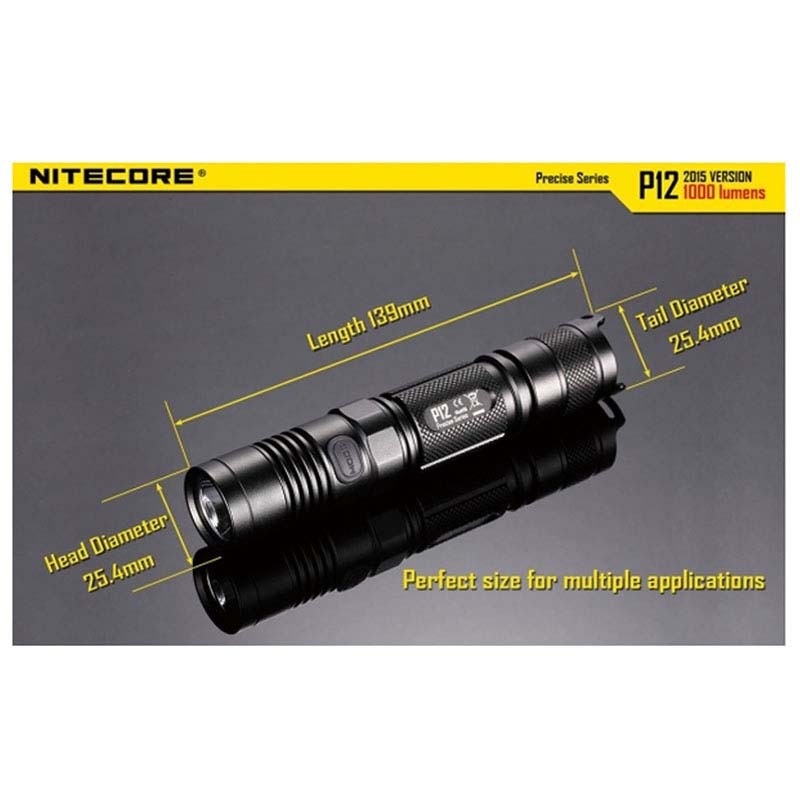 Thanks to the 1 inch diameter body the P12 is compatible with various accessories including the Nitecore RS1 Remote Switch and most weapon mounting systems further adding to the versatility of this pocket rocket!